So, I went shopping the other day and I was browsing through Superdrug (which is a rare occurrence as I'm usually a Boots girl, so much so, that I gave the poor Superdrug sales assistant my Boots loyalty card by accident and she threw me a very disgusted look!!) Anyway, I was browsing and I noticed the three for two offer they have right now on all cosmetics! That is right, across ALL cosmetics! So even though I'm a poor student I couldn't resist... I got another MUA Heaven and Earth Palette (as my other one is well used up now!) and also a Revlon Colourburst Lip Butter in Cotton Candy annnnddd a Maybelline Colour Sensational Popstick in Citrus Slice. I won't review the MUA Palette as there are soooo many reviews already on that topic! But I thought it would be interesting to compare the two lipsticks, so 'ere you go!! 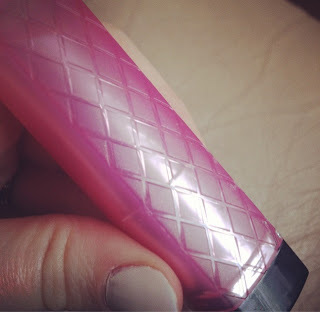 First of all I really like the packaging of the Revlon Lip Butter, it's a lovely bright pink with a raised pattern down two sides. 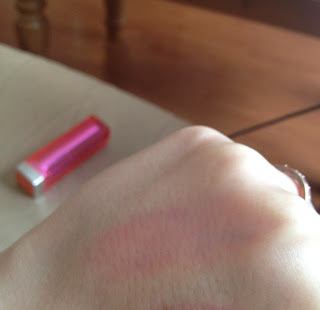 The whole top comes off (instead of somewhere half way down like most lipsticks) so it feels really chunky in your hand. And I also noticed after I had taken these pictures that there is a little window in the top so you can see the end of the lipstick! Very convenient if you're forgetful and need a frequent reminder of what colour you have but not so useful if like me, you generally remember things like that! I think a nice little mirror would be more handy! In this picture you can see really well the shine it has, it's a really nice pink with a gold shimmer through it, which is visible when the light catches it, and this also shows up really nicely on the lips! 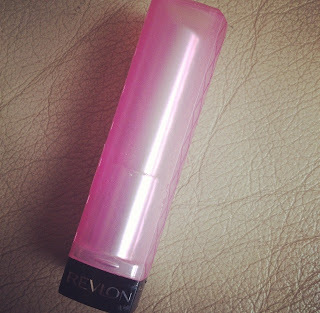 Revlon say it has a mango, shea and coconut butter formula which boosts lip moisture. 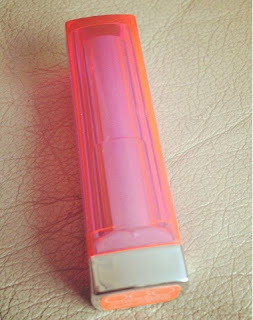 It deffo does what it says on the tin, its really creamy and doesn't require any lip balm to prep the lips beforehand, and it kept my lips moisturized for a few hours, until I had to re-apply. 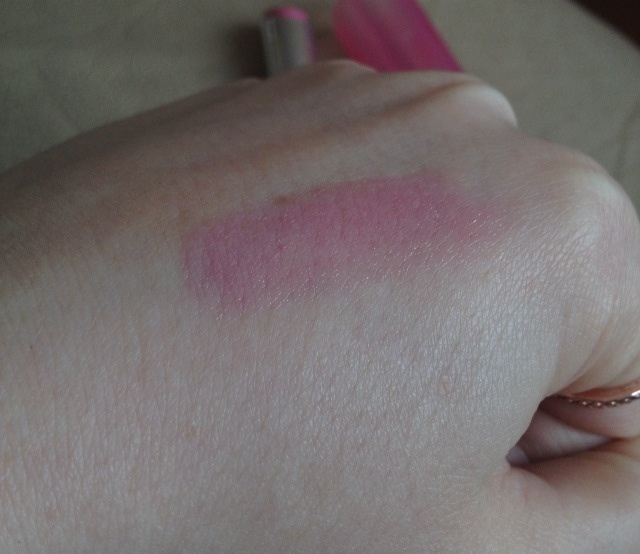 Here in the swatch you can't really see the shimmer as much as it shows up on the lips, but the pigmentation shows up well. 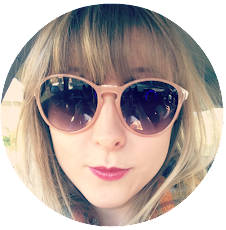 I do like how sheer it is because I am usually a fan of bright matte lipsticks which are not so appropriate for the daytime, and I think this is a nice way to tone it down a bit! So overall I have had a lot of good things to say, however reading that it was a mango, shea and coconut butter formula, I had hoped that it would smell better! (As I do like a nice smelling product when it's going to be applied so near to my nose!) It doesn't really smell of anything, but I guess you can't have it all! 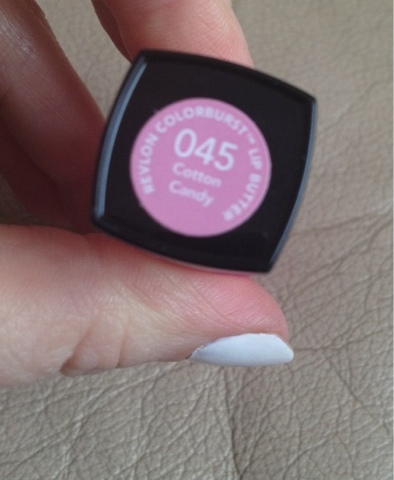 So starting off again with the packaging, this one also has a long lid which gives it that chunky feel I like! Annnnddd it has a cute little mirror on the top which I find much more useful than a teeny tiny window! 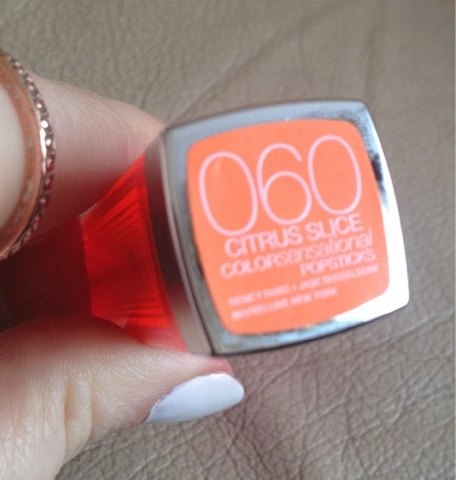 Although I don't like the colour of the lid, it's too bright and I think that makes it look a bit cheap. The gimmick here is that it is like an ice-lolly, not in a tasty way, but in the way it's a 'crystal clear gloss stick' (Superdrug website). 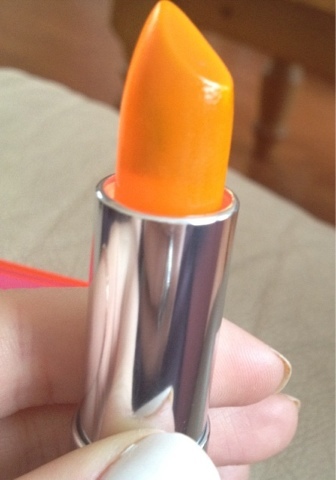 However... my quest for orange lippy is ongoing, this is not the product that I had hoped for. It is soooo sheer, even after coats and coats of the stuff it still has little to no pigment, which is rather disappointing. I feel like I've just bought a very expensive vaseline! It's actually also the same consistency as vaseline, quite greasy and not half as creamy and moisturizing as the Revlon lip butter. 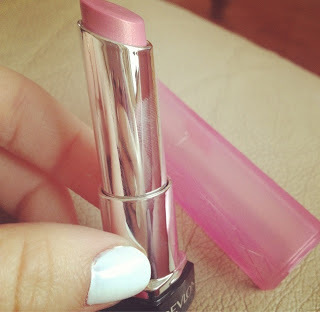 So overall, I'm loving the Revlon lip butter and not so much liking the Maybelline Popstick! Let me know what you think? 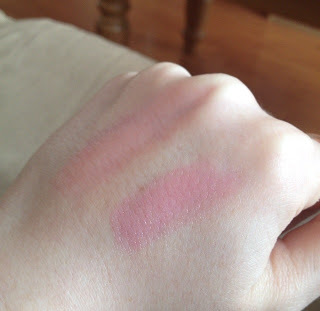 Are the other colours in the Maybelline Popstick range more pigmented?